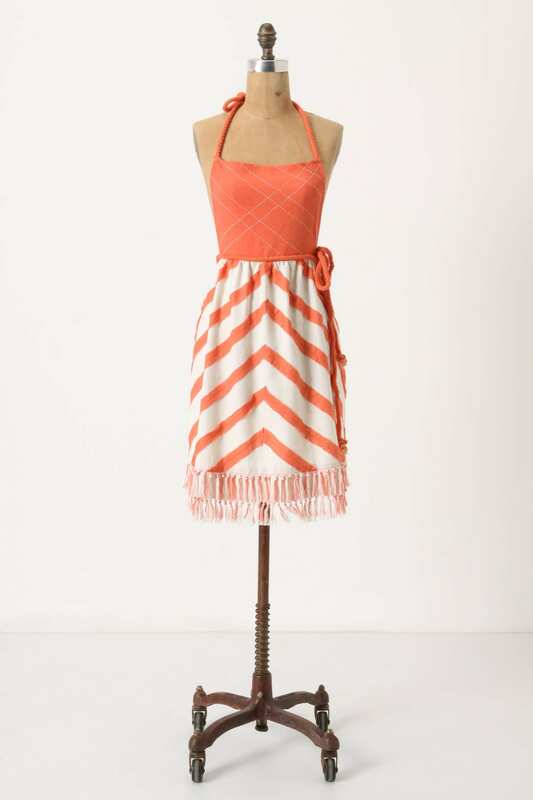 I’ve you’re going to be slaving away in a hot kitchen, you might as well look glamorous doing so! 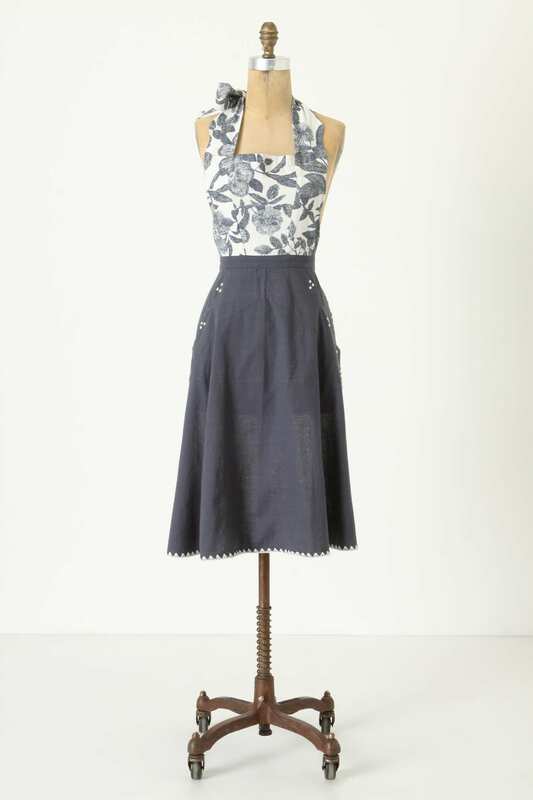 I love this apron by grandmother and granddaughter team of Ice Milk Aprons’ heirloom collection. It’s packaged beautifully in a glass jar. Available at origin-of-style. Currently causing quite a stir in America, these beautiful heirloom aprons are lovingly made and utterly glamorous, what further incentive could you need to whip up a batch of the perfect scones this weekend? 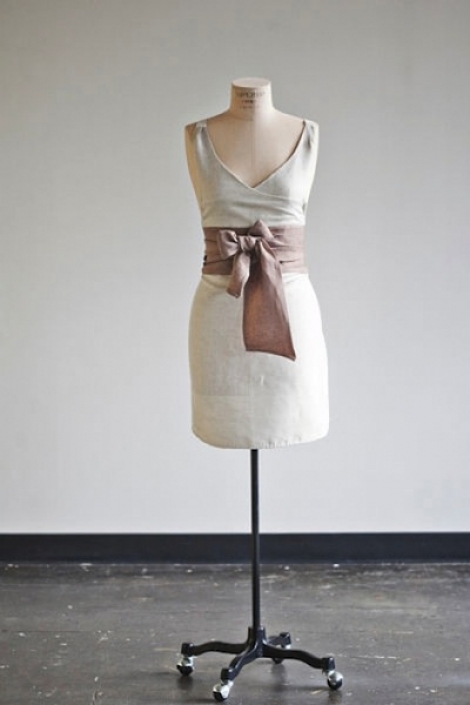 Full wrap apron in oatmeal with toast sash tie, lovingly packed in a heavy glass jar, also from origin-of-style. 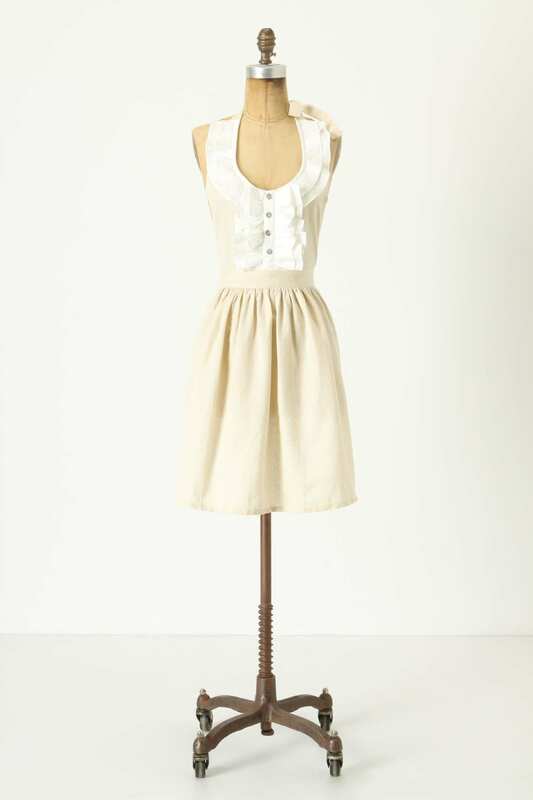 The trousseau apron from Anthropology, beyond gorgeous! 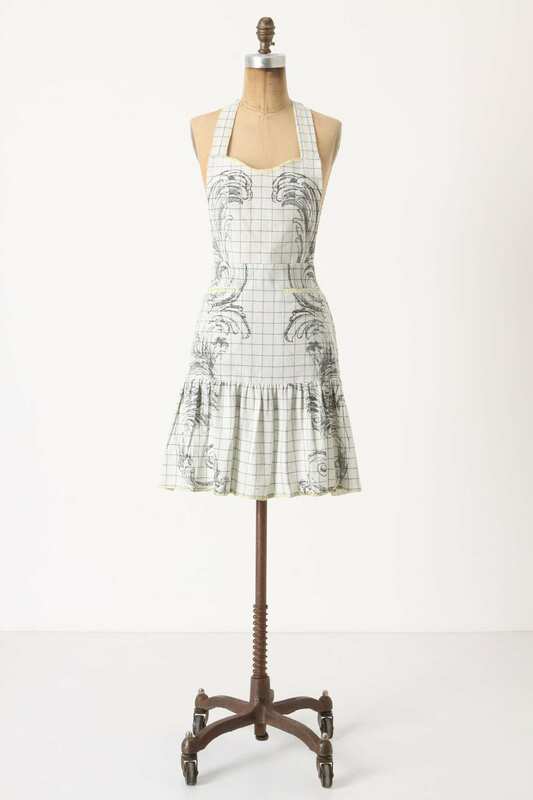 Also from Anthropology, you will be the most stylish shopkeeper in the village! Well, my husband certainly seems to think it’s the angels that do the sweeping! 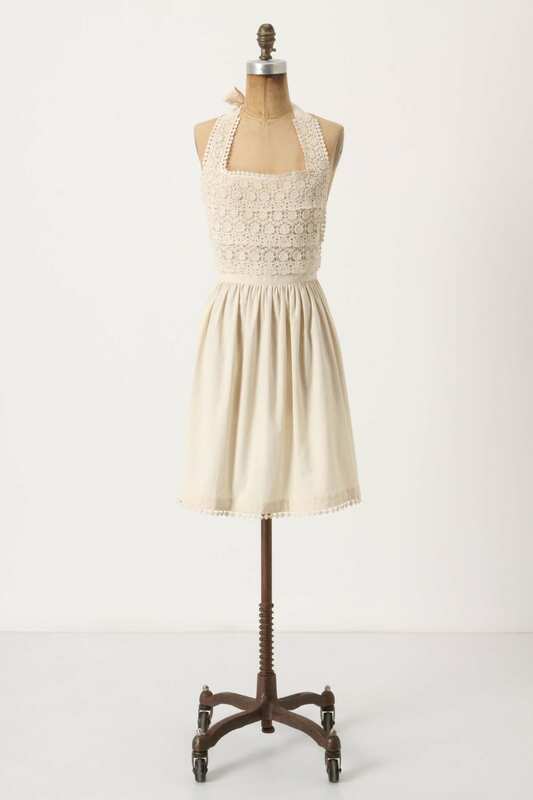 I can even see myself wearing this one over a little summer dress, out in public, love it! A great start to the morning! 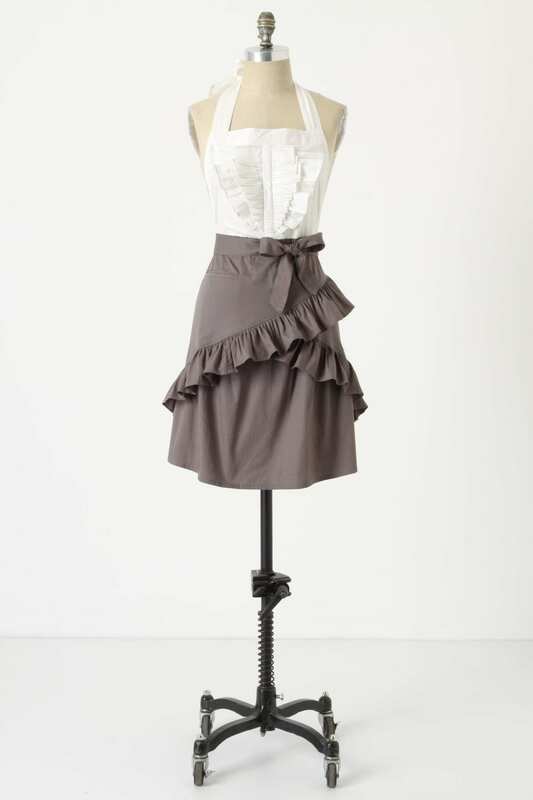 Well, for a TRULY glamorous apron, how about this silk organza one by Alberta Ferretti?